For some types of hair or hairstyles, the only way to get your hair dry correctly is with a hairdryer. Unfortunately, hairdryers produce a lot of direct heat and can do a lot of damage to your hair. It can also be difficult to accomplish because most dryers have surprisingly short cords. VOLO Beauty has a new product designed to help people deal with both of these products. Since last year, the product has gone from a working prototype to being fully-functional and available for pre-order. The VOLO Go Cordless Hairdryer is, by the suggestion of its name, a cordless dryer. 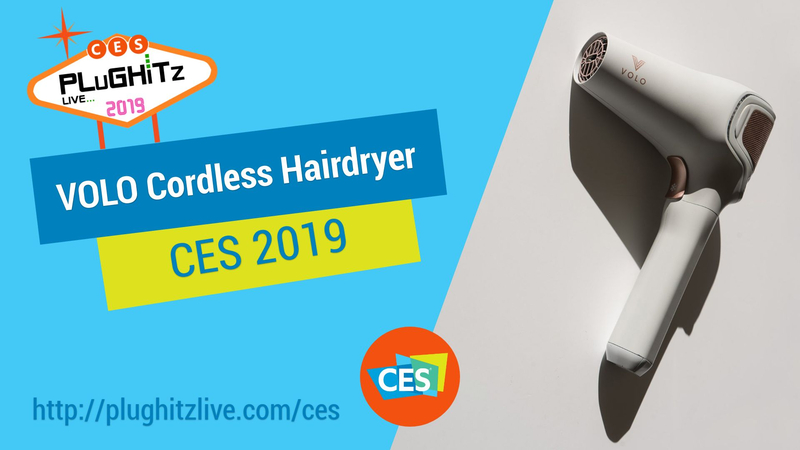 Using a lithium-ion battery, this new dryer can be used without being tethered to the wall, allowing you to use it while you get ready for your day. To make this possible, however, the company could not use traditional heating. That is because a standard hairdryer uses about 1600 watts of power when in use. In fact, they require special power adapters when you travel with them internationally. Instead of traditional heating, the VOLO Go uses infrared heating. There are a few benefits in infrared, with one being a significant reduction in the amount of power required. Reducing power usage allows for a smaller battery, also meaning less weight. But, more importantly, infrared can dry your hair without all of the damage caused by traditional heating. That is because it doesn't apply all of the heat to the outside but instead works from the inside out. In addition to the Go, VOLO has also released a towel, designed especially for hair. Whether or not you plan to use a dryer, towel drying is an important step in helping prevent damage. The VOLO Hero is a microfiber cloth, which we all know makes for easier and quicker drying. It features a strap in the middle, which allows you to easily tie it on top of your head, so you can continue your routine while your hair dries. The VOLO Hero is available now for purchase for $39, and the VOLO Go is available for pre-order for $27 with a retail price of $399.